Forage American Brasserie is a relative newcomer to the Shops at Main Street in Exton (120 Woodcutter St., 610-524-3334). The menu at this suburban BYOB features many gluten-free and vegan plates. Executive Chef Ralph Fernandez has chosen to showcase gluten-free cooking because his wife has Celiac Disease. 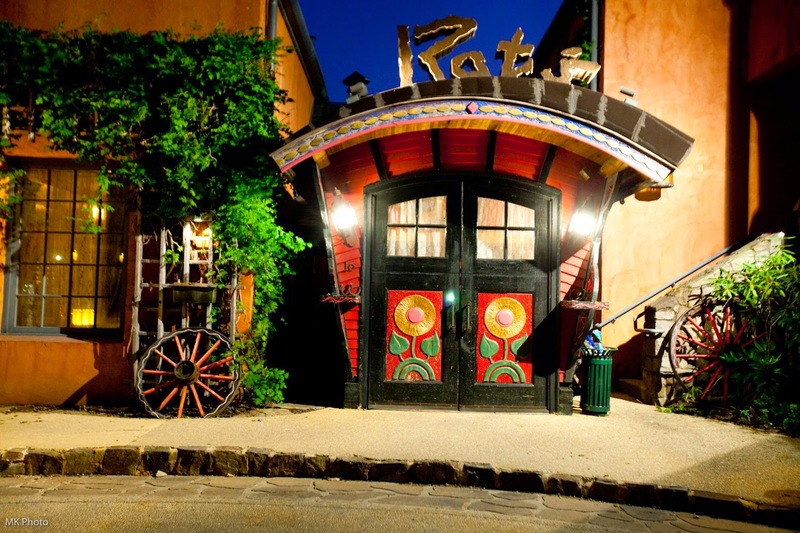 French-influenced Rat's Restaurant in Hamilton (16 Fairgrounds Rd., 609-584-7800) - located near the famous Grounds For Sculpture - lists gluten-free choices like lobster crepe, pan-roasted black bass and Scottish salmon on its current dinner menu. The growing local Indian mini-chain Tiffin has just opened a location in Voorhees (300 White Horse Rd., 856-888-2775) and is adding another this month in Cherry Hill (1892 E. Rt. 70). Many appetizers and entrees are gluten free, including staples such as saag paneer, chicken tikka masala and tandoori chicken. Other outposts are in Bryn Mawr (847 W. Lancaster Ave., 610-525-0800), Wynnewood (50 E. Wynnewood Rd., 610-642-3344), Elkins Park (8080 Old York Rd., 215-635-9205) and in Philadelphia (710 W. Girard Ave., 215-922-1297; 7105 Emien St., 215-242-3656; 1100 Federal St., 215-468-0104). Also in Bryn Mawr, Continental BYOB Restaurant Cerise (1011 W. Lancaster Ave., 610-527-4400) can accommodate gluten-free guests and will utilize separate utensils and pans for their orders. Reader Diane M. let me know that Harpoon Henry's in North Cape May (91 Beach Dr., 609-886-5529) has a gluten-free menu that includes grilled chicken wings, burgers and chicken sandwiches, pasta and Green's beer. The restaurant will close for the season on October 12. In Ocean City, Caribbean/Mediterranean restaurant 701 Mosaic (701 Fourth St., 609-398-2700) notes gluten-free options on its menus. 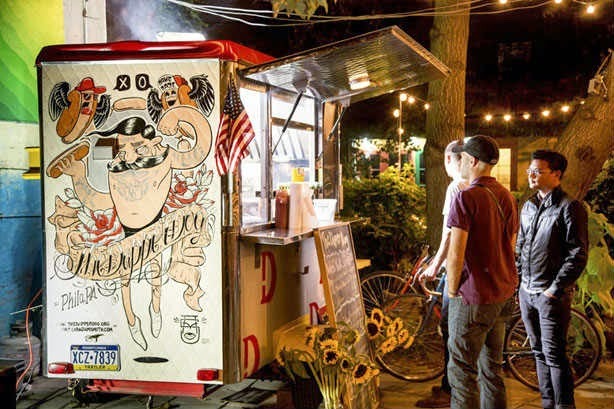 If you're in the Northern Liberties section of Philadelphia on Friday or Saturday nights, look for gluten-free hot dogs at The Dapper Dog at the corner of 2nd and Poplar streets. On Thursdays, the truck can be found during lunch hours at LOVE Park at 16th Street and JFK Boulevard. Follow @thedapperdog on Twitter for up-to-date location information. Pasta Flyer's gluten-free pasta will be available during the lunch hours today on Drexel University's campus; my Tuesday post has the details. Door prizes and giveaways will mark the grand opening this weekend of The Gluten-Free Grocer, located at the Williamstown Farmers Market (701 N. Black Horse Pike, 856-318-7530). Owners Lee and Carol Beam carry more than 100 brands and about 1,000 different products, including hard-to-find items like Bonavita pizzas and popular products from Glutenfreeda, Katz Gluten Free and Cup4Cup. Hours are Thursdays from 9 a.m. to 5 p.m., Fridays 9 a.m. to 8 p.m. and Saturdays from 8 a.m. to 4 p.m. Customers can save $5 on purchases of $30 or more with a coupon in this week's Today's Shopper ad. Two well-known Pennsylvania companies have teamed up for a limited-edition combination. 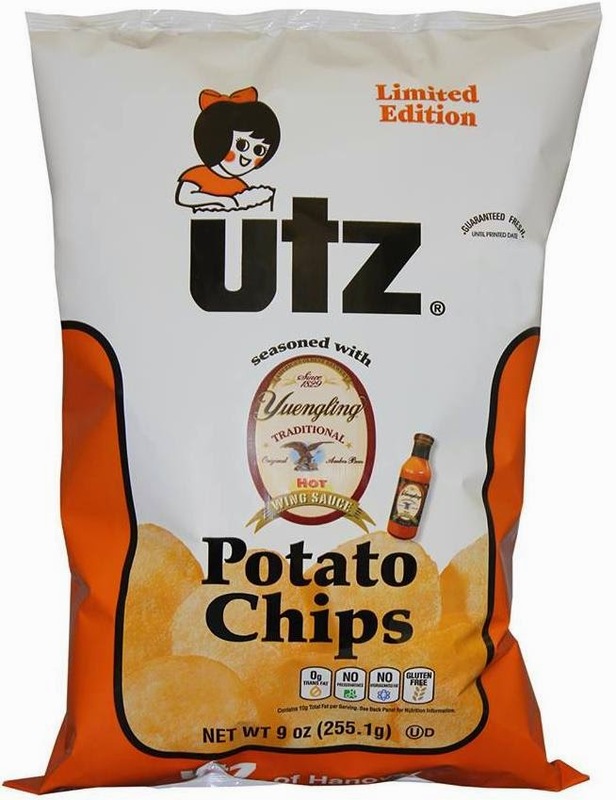 Yuengling, America's oldest brewery, has paired its hot wing sauce with Utz's famed potato chips. The seasoned chips are now available in stores in the Philadelphia area and online. Though none of the P.F. Chang's Home Menu appetizers or meals qualify, the line's new white and brown rice options are gluten free. They are available in the freezer section at Target. 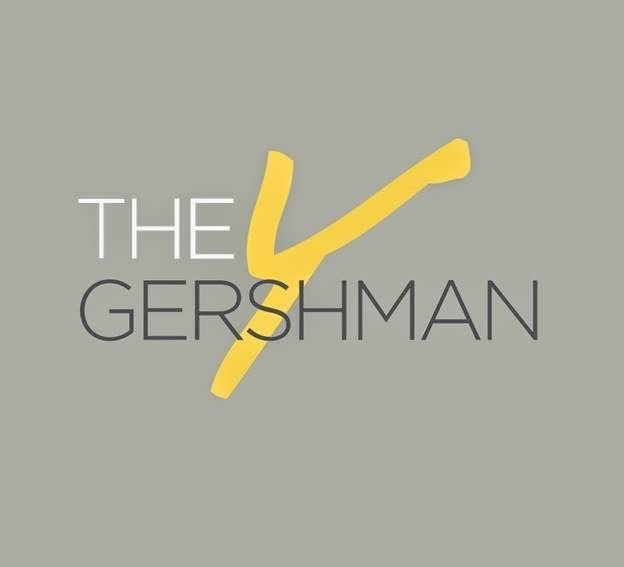 On Tuesday, October 21, I'll be speaking about gluten-free travel as part of the "Healthy Conversations" series at the Gershman Y arts-and-culture center in Center City (401 S. Broad St., 215-545-4400). Admission is free with advance registration; $5 at the door. Gluten-free refreshments will be served at the event, which begins at 7 p.m. The Gluten Free Philly business-finder app was featured this week on KYW Newsradio [audio]. With the app, available for iOS and Android devices, you'll find more than 1,400 area gluten-free-friendly businesses in the greater Philadelphia region, search by cuisine or neighborhood, find menus, make reservations and more.